HCN's (Health Communications Network) Medical Director is the market leader in clinical software for Australian GP's and medical centres. First introduced over 21 years ago, it now has over 17,000 clinicians using it daily. and so there will be no learning curve. Most compatible with various add-ons tools and software. 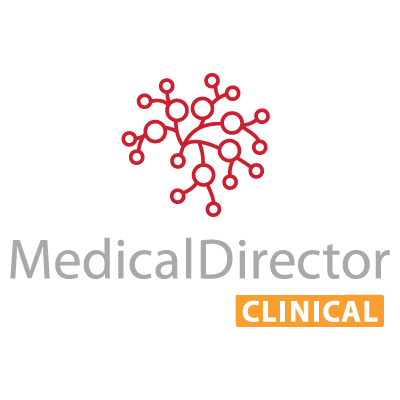 Being the market leader means everyone ensures their products work with Medical Director. Regularly updated and not going anywhere. You can safely assume HCN are here to stay and their software will continue to be regularly updated as requirements change. Seamless integration with HCN's Pracsoft, the market leader in Practice Management software. CompuGeeks are providing support and installation services for Medical Director. We have helped many clinics move from paper based files to computer files, and through the major migration process. in your clinic's network. If the requirements aren't properly met, if backups aren't done reliably and if the software is not set up suitably for your requirements, there will be many issues arise and we are here to prevent that. Installation and setup of Medical Director software. Support and maintenance to keep your system up to date, secure, running smoothly and reliably backed up. Installation and setup of add-ons, templates and secure document downloaders. Setup and documentation to meet eHealth requirements. Off-site, secure Cloud Backups, to keep your data safe, automatically.